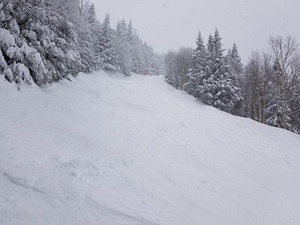 Mad River Glen offers a great deal of skiing on General Stark Mountain that is strictly off-limits to snowboarders. With an enviable 250 inches of annual snowfall the home to the last surviving single chair lift in the US prides itself on the high proportion of steeper runs (20 out of 45 pistes are blacks!) 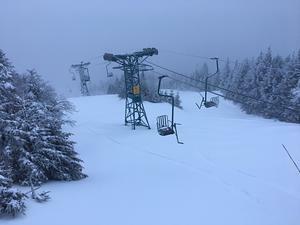 the season at Mad River Glen is typically mid-December through early April. There are 800 acres of boundary to boundary off-piste access. Mad River Glen is located in central Vermont’s picturesque, Mad River Valley and is only a 3-mile drive from the Sugarbush Resort. One of the best kept secrets of Mad River Glen is the Birdland area. This is a beautiful beginner and intermediate area serviced by a dedicated lift. 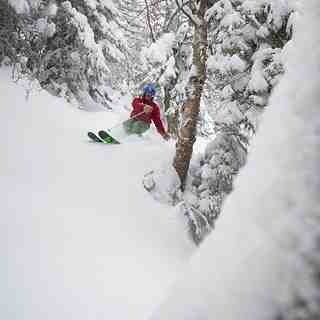 The low angle terrain holds natural snow very well, is rarely skied off and groomed on a regular basis. At the base of the lift is the cozy Birdcage lodge, perfect for a hot chocolate and snack! As far as snow making, the mountain does make snow on the lower elevations and has top to bottom coverage on the Practice slope. While MRG does have exceptional expert and tree skiing, the best part is the wonder people and family friendly atmosphere.